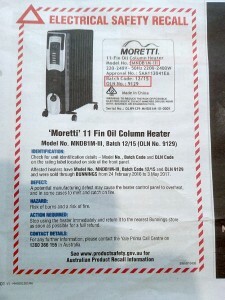 Moretti 11 fin oil column heaters have been recalled. If you have one, return it for a full refund. 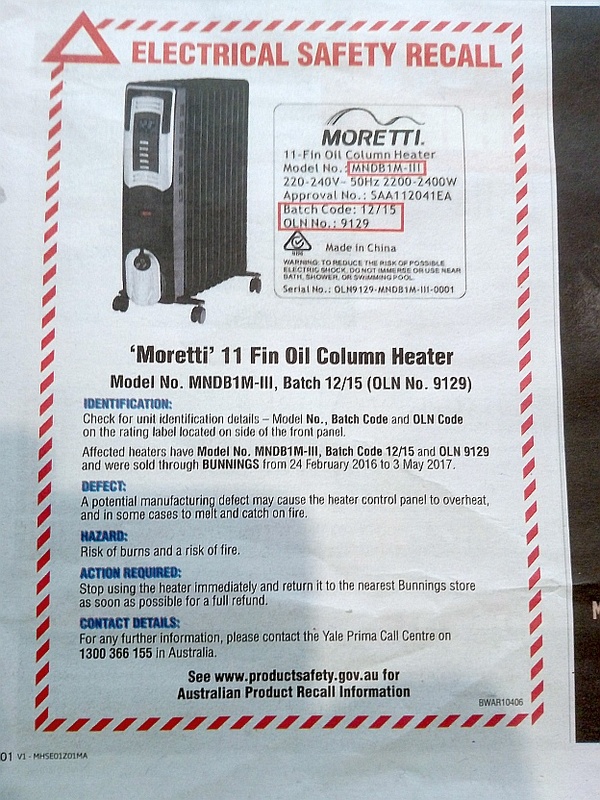 See the image below for details or Google “Moretti recall”.